Most of the time what I write and share on my blog are my thoughts, comments, and exercise tips and perhaps an occasional guest article post. But today, I’ve got something special! I’m blessed to have had many wonderful health practitioners and healers come in and out of my life. Some are life-long friends, some have helped me on my journey to re-gain whole-body health, and some are only acquaintances that I’ve met briefly during my studies of Pilates and other mind-body alternative health care practices. The bottom line is that as health care practitioners, we’re all striving to keep our bodies healthy and pay it forward to help others too! Optimal whole-body health for some is easy to achieve. Yes, it takes hard work and dedication, but for some it seems to be no big deal to make it happen. For others, there always seems to be something wrong, out of balance, or “off” just enough that the body hurts. It’s learning to pay attention and take the steps needed that can help us quickly re-balance and make whatever corrections are necessary that can help us achieve and maintain better whole-body health. My friend, Eric Goodbar, from Fast Track Pain & Mobility Solutions (who is an amazing guy if you ever need his help!) shared what I’m about to share with you, in a Facebook post a while back. It really resonated with me, so I saved it and Eric has been kind enough to let me share it with you! As a Pilates teacher I’m 100% committed to helping my clients improve whole-body health. I’ve studied Touch for Health, Kinesiology; Rossiter® Stretching; BiGu Qi Gong and have spent years getting in touch with my Spiritual, psychic self. I understand that there is a huge connection to mind, body, and spirit. But in the fitness world, we focus primarily on the body. With Pilates, the mind, body connection gets a little more action. But for the most part, the Spiritual aspect of things doesn’t really get discussed. It’s a little tricky to toss “Spirit” into conversations because it can quickly become religious which is not the direction it’s meant to go. Personally, I’m very spiritual, but not too religious – and I struggle, as I’m sure a lot of folks do, with bringing more Spirit into the conversation because “preachy” feels pushy to me. In a similar way, it’s sometimes challenging to talk about the emotional component that can be a part of pain patterns that might be restricting our ability to truly achieve whole body health. Eric very eloquently explains the difference between whole body health functioning optimally, or in a downgraded way, and has a pretty cool “Spiritual” connection to add to it. I’m to the point of babbling aimlessly now, so am just going to cut and paste his entire post in here for you to enjoy. “People don’t really recognize how everything is connected in so many ways. A little wordy but hang in there…. Some of my clients have gotten a quick blurb from me about how everything in your body works together as 100%, whether in an optimal way or a downgraded way in function. So, if ANY part(s) in your body that is “off” or downgraded (working either too hard or not hard enough) to some degree from it’s normal, or neutral, or center, then the whole body will downgrade in performance accordingly. How much these parts are “off” will determine how much the performance (output) of the whole body is off. Therefore, if ANY part(s) are brought ANY closer towards functioning more normal, neutral, or center to work better than their current state, the whole body will upgrade in performance accordingly. You will likely never get everything working completely normal, but the closer you get back to normal, or neutral, or center in ANY fashion, the more your whole body will be upgrading to a more optimal state and function better. So, remember if you ignore a back pain, neck pain, poor movement in a joint, or really any problem, just remember that it’s affecting 100% off you in a downgraded way. Improve the problem ANY and improve everything too. Thanks Eric, I’m super-happy that you opened your heart to share these powerful truths with your friends and clients. And I’m pleased that you’ve let me share these enlightening words with my tribe too! Are you working on upgrading your whole-body health, or putting up with compensation patterns that are keeping you functioning at less than optimal? Strive to connect mind, body, and spirit, and take the steps necessary to get your body in balance. It’s your birthright to enjoy optimal whole-body health! How in touch are you with your Vagus Nerve? Do you struggle with inflammation, depression, or other chronic health challenges? Has anybody ever suggested that you do anything specific to support your Vagus Nerve or suggested Vagus Nerve Stimulation? Do you even have a clue as to what it is, where it is, or what it does? I know…me neither. The Vagus Nerve links communication between the head, heart, and digestive tract. And of course before you go running off willy-nilly seeking the Holy Grail of answers for your health problems on the internet, check with your doctor and get proper medical advice before doing anything! I saved the link to an article on the Vagus Nerve Inflammation Connection months ago because it interested me. Unfortunately, I am just now getting around to looking at it and realized that the website it’s posted on is no longer being updated, but I’ll go ahead and post the article link (below) that prompted this post. I’m not much of a research junkie because I get lost in the technical mumbo-jumbo. However, in my personal struggle to maintain good health, I appreciate insights from every angle. Western medicine has failed me more times than I can count, and for many of my issues it’s been a struggle of mind over matter since finding a solution has been a nebulous quest. While it would be great if there were a magic pill, potion, or food that would “fix” it all, our bodies are complex organisms and there are a lot of factors involved in getting everything to function optimally. Inflammation has been a HUGE struggle for me throughout my life, that along with depression, anxiety, digestive disorders, Optic Neuritis, joint pain, and muscle aches. I’m hyper-sensitive to foods, chemicals, and smells. Sometimes I can get away with more, other times I’m over the edge and in-trouble faster than I can blink. 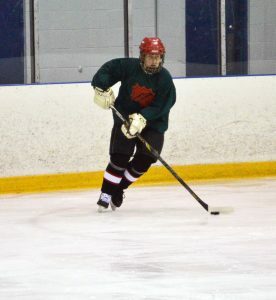 For some reason this past fall and winter were particularly challenging. My lows have been lower and I fall faster to the pit of despair than I ever have in my life. You, my friend (or psychologist), obviously have never spent a day in my body where the norm is to wake up every morning trying to fight off the feelings of wanting to be 6 feet under. TRUST ME, nobody would willingly want to spend their life feeling like crap – physically, mentally, or emotionally. These are reasons why I’ve always exercised. Physical activity is my “drug of choice” because I really can’t take medications. Most of the time I feel better when I am physically active. But sometimes even that doesn’t help. Posted by administrator in Alleviating Pain & Chronic Health Problems, Mind-Body Health. It’s crazy all the ways we’ve conditioned our bodies to over-ride our mind-body connection. Too many people these days don’t listen to what their body is telling them and act accordingly. Sadly, we’ve been told that we need to “push thru the pain,” or “go for the burn” to get benefits from exercise. When we’re tired, we reach for a high-caffeinated beverage or sugar-filled snack to boost our energy instead of catching a quick cat-nap or planning to get to bed earlier for a better nights rest. Who do you know that has to start their day with coffee, and end it with a sleeping pill? It’s not normal that this is what we need to function! And food… our portion sizes are out of control and the fast-food, pre-packaged, processed foods being consumed are too high calorie and low nutrient to give us the fuel we need for a healthy body. We’re starving for nutrients and eating more and more “empty calories,” and the population as a whole is getting fatter, sicker, and dying at a much younger age. But it doesn’t have to be this way! Making a change to tune in to what your body is telling you starts with YOU. Honor yourself. Be brave. Learn to listen to that small, inner voice inside you. Improve supportive conversations with yourself. Trust that what you feel, or sense that your body needs, IS what it needs – and provide it without doubt or question. To really live in a healthy body we can’t zone out, but instead need to zero-in on DOING what supports our health. Improving our mind-body connection is the first step in actually noticing what we’re doing good, bad, or otherwise. And at that moment the sea parted…and we both had a revelation. His reply to me, “I’ve always exercised to tune-out, and get away from having to think.” And believe me, his form and body mechanics clearly demonstrated this fact! But Dr. Dave now clearly grasped the importance of needing to pay attention to what he was doing to really improve his health during exercise and not get hurt. 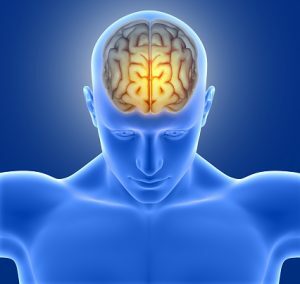 He “got” how important developing the mind-body connection was. 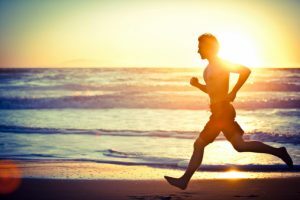 AS a result, our training sessions shifted from a Groundhog Day experience, to really making strides for improving his mind-body connection and progressing his exercise program. In my mind, it was a miracle! For him it was life-changing because he finally started getting real benefits from his exercise program. Sometimes we’re just not aware of what we’re doing, and having a helpful mentor or teacher help point things out to raise our conscious awareness level can make the difference. Sometimes we are aware, and make the choice to ignore, over-riding what might have been the best choice for our body. And sometimes “baggage” from past traumas can be in the way, blocking our ability to tune in. I had another client, Becky, (not her real name, either) who was a sweetheart. But as much as we worked on developing her core support, she could never “feel” that she was using her abdominal muscles. I’d have my hand on her belly, telling her “that’s great, your abs are working.” But Becky just couldn’t seem to make the connection to feel what was going on. Then one day, as she was lying on the Cadillac, she paused and said, “If it seems like I’m a little distracted…I’m still working on integrating my multiple personalities.” And then she proceeded to tell me a very small part of her story. Learning what she’d gone thru and the coping mechanism she developed to survive, explained to me why it was such a challenge to “feel” anything in her center! Of course it was going to be a challenge, she had chosen to disassociate from her body, and that was her primary defense mechanism. But you know what, she continued to show up for Pilates, and it was a great asset in her healing process. Together we worked on searching for her center, strengthening her center, and gaining confidence in feeling it support her. There is a lot of power in improving your mind-body connection. Whether the trauma you’ve experienced was emotional or physical (car accident, sports injury, falling out of a tree as a kid), compensation patterns accumulate until we take conscious steps to change habits and shift both our thinking and our actions. When I’m stressed, I like to eat! When I’m emotionally drained, stressed, and upset, I like to eat specific foods… (Chocolate: Oreo cookies, Little Debbies, Twix/Reeses. Cheese: Mac and Cheese, Cheese Curls, Cheese Curds, Cheesecake, Chips, French Fries and Cheese…). How do I know this? Because one day I went to the grocery store in a really bad mood, and the only things I put in my cart were “comfort foods.” As I was checking out, I realized what I had done. So I purchased everything anyway, took it home, ate a few bites – and ceremoniously threw everything in the trash. When I crave these foods, I now know that I have two choices: 1. Deal with the issue that is stressing me out, or 2. Avoid the issue and cram my guts with crap that will make me feel worse instead of better. Are you aware of the habits you have that might not be serving your good health? How often do you tune-in to what your body is telling you, and harness the power of using your mind-body connection? It’s not always easy, but it is possible to develop your skill set in learning to listen to your body. My first Pilates Mentor, Romana Kryzanowska, had a great phrase about this. It’s all about using the 5 Parts of the Mind. I believe this applies to exercise, eating, and everything we do in life! These 5 Parts of the Mind are what we need to be using to develop our Mind-Body Connection! Use your INTELLIGENCE – Your brain is the “master computer” to guide your every thought, movement, and action. IMAGINE what it feels like or looks like to achieve successful results. REMEMBER what works and do it over and over to reinforce positive results. LISTEN to your Inner Voice – INTUITION is a powerful force. Be PRESENT – Be in the moment, and stay in your body to notice what it needs. HONOR yourself – You are Worthy. Be BRAVE – What you need is what you need. Stick Up for Yourself! It’s OK to Talk to Yourself! Improve supportive, loving, communication, and conversations. TRUST that what you feel or sense IS what you need – and provide it without doubt or question. With Pilates, the goal is to make the last repetition of each exercise the best one possible; leaving your muscles with the memory of how to work well for optimal form and function. I’d like to encourage you to take this philosophy and apply it to your exercise program and your LIFE. Make today, and every day, better than the last by paying attention to what your body needs and improving your mind-body connection. Embrace the power of healing hands. We all know how good a massage feels, and how important touch is to provide calming, healing energy. But did you know there is a simple way that you can work with your own hands to help heal yourself? I’m always so amazed to learn and experience the benefits of the mind body connection. There are many, many different modalities and techniques out there. In India when they work with healing hands it’s thru Mudras. But this simple hand exercises to balance energy and emotions is from the ancient Japanese form of touch therapy called Jin Shin Jyutsu. Improving balance between the mind and body means that we are in sync or in “flow” not only within ourselves, but in relation to the world around us. Our emotions are intertwined with the health and well-being of our mind and body. This simple Jin Shin Jyutsu technique can be done anywhere. You can work on one specific area, or do a whole-body balance by working through all of the fingers on both hands. 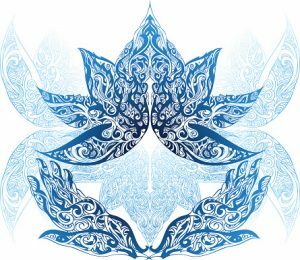 Eastern philosophies connect Emotions, Organs, and Physical Symptoms, a shift or healing can help bring everything into balance. 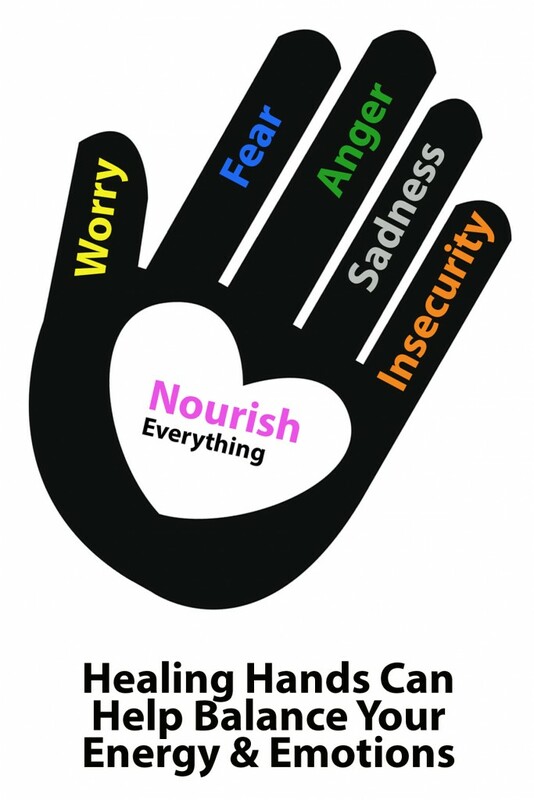 Use the chart below to help determine which finger(s) you should hold for this simple hand exercise to balance your energy and emotions. Hold the finger that’s connected to the emotion you want to calm, or the organ you want to heal for 3-5 minutes while breathing deeply. Learn how this simple technique has been used with Cancer patients in the article by Dyani Main and video you’ll find here. Personally, I’m always looking for simple techniques to incorporate into my day for health improvement. This looks like a fabulous way to balance mind and body! Try it and let me know what you notice. Share what you discover by quietly breathing and holding your finger(s), or hands. Give Yourself a HAND, and Have a Happy & Healthy Day! Are Fitness Trends – Helping or Hurting Your Whole-Body Health? I just read the article The Massive Fitness Trend That’s Not Actually Healthy at All by Jonathan Angelilli. And it’s worth your time to read. This is a very well-written article with good reasoning for learning to listen to your body. Developing the mind-body connection is one of the reasons that I truly LOVE and appreciate what Pilates has helped me to achieve (and continue to work on) on my own personal journey to achieve, and maintain, balanced whole-body health – Mind, Body, and Spirit. So many people believe that if they’re not busting their hump in the gym daily, that it’s not even worth trying. So where does that leave you when you’re dealing with chronic pain, an injury, or other ailment? Do nothing but rest and eat? Only to recover, work out too hard and repeat the injury-inactivity cycle? Yes rest is important, and cross-training is immeasurably beneficial. Somewhere one has to find their own personal happy place, where the training methods you use you enjoy fully so that exercise is FUN, and the activities you participate in not only help you stay healthy, active, and fit, but injury-free! Not every meal we eat can be a gluttonous Thanksgiving Dinner. (Can you even imagine?) So why does every workout have to be “balls to the walls” challenging, or long, or repetitive, or with super-heavy weights? Train for your sport if you are an athlete, Yes. But overtraining regardless of athlete or everyday person and sooner or later your body is going to break down and protest the pounding. 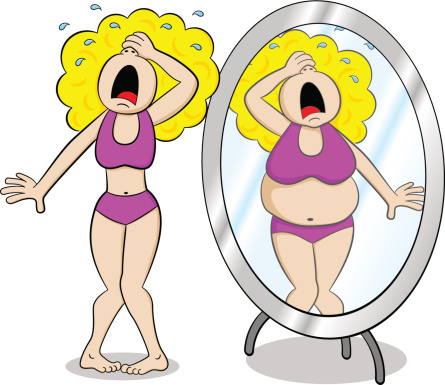 What your body will let you get away with at 20 is much different than at 40 or 50. And trust me, I love exercise and enjoy how my body feels after a good workout. But there’s a difference between creating trauma and effective training. You can gain as many benefits from a calm, gentle training session as you can from training for a triathlon. And sometimes stillness IS the best exercise – just ask a Yogi or Tai Chi Master about that. I believe efficient exercise with good body mechanics is vital for BOTH your “easy” and more challenging workouts. Without paying attention and learning to use your muscles and joints correctly – injury will result. (And over-fatigued muscles can’t support healthy movement habits) The magic happens in Pilates with low repetitions 3-5, up to 10, with the goal being that the last repetition you do is the very best one you’ve ever done, so you leave your muscles with the memory of how to work correctly. Brilliant! Are you one that’s on the bandwagon for the latest massive fitness trend, regardless of how it might be affecting your health, or are you learning to listen to the inner wisdom of your Soul which can speaks volumes to help you make good exercise choices, and work at an appropriate pace to help you be healthy. While I am not an expert in Chinese Astrology, I do find it interesting. And from my training and teaching Bigu Qigong and studying Yin-Yang and Five-Element Theory, I am always fascinated about the relationship between what I know as a Western American, and what I feel happening physically, mentally and emotionally in my body and my world relative to a Chinese Medicine or Astrology. 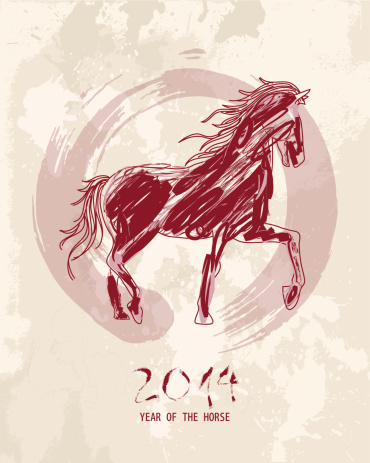 While officially the Chinese New Year starts on January 31, 2014, and the Year of the Horse begins on February 4th. I am already keenly aware that there is an energetic shift happening. Since I felt the shift before I knew what “Astrological Year” we were transitioning into, it prompted me to do a Google search to learn more about what to expect in 2014. Do You Love Your Body? I have to admit, my answer for most of my life has been NO! I’ve been working on an attitude adjustment, and struggled with loving my body, body image, and self-esteem my whole life! I’m still working on it –being both an athlete, and professional in the health and fitness industry for my entire life you’d think this wouldn’t be an issue for me, but it is… and I’m pretty sure I’m not alone. Continue Reading ‘Do You Love Your Body? Ever wonder what stops you from making great choices to exercise and be fit for an active and healthy life? Is it lack of exercise, or lack mentality? Does your attitude ever get in the way wreaking havoc on how you “feel,” and blocking your motivation to get up and move? Perhaps these simple mind-body health training tips can help you enjoy an active life with a sound mind and healthy body. Joseph H. Pilates believed that it is everyone’s birthright to enjoy good health! And this fact is true. But without effort everything falls to ruin. So how can you keep your Mind and Body in sync to stay healthy?